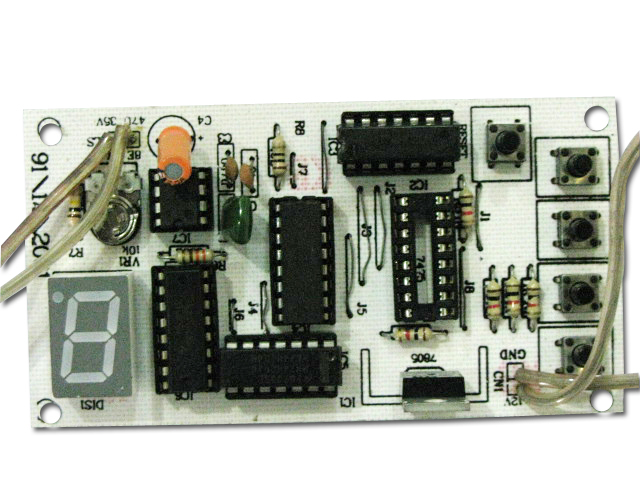 *Learn the application and interfacing of the DTMF decoder MT8870 with the ATmega16 micro-controller. 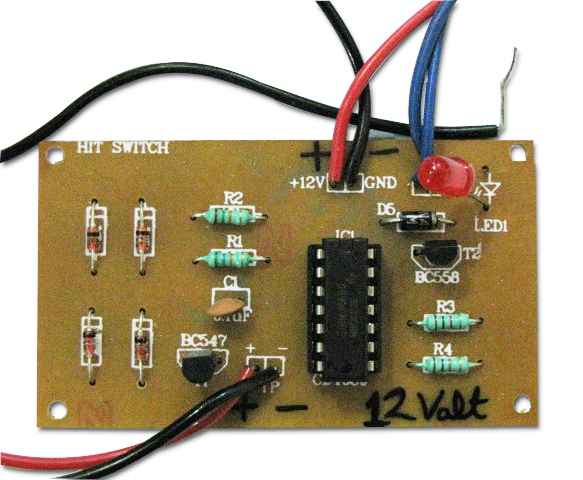 *Learn the application and interfacing of the H-bridge motor driver IC L293D. Robots are always a cool toy for DIYs, hobbyist and engineers. Wouldn't it be fun if the same robot is controlled by your mobile phone sounds interesting right?. So here is the a robot kit which works on the principle of "DUAL TONE MULTI FREQUENCY"(DTMF) to help control the robots motion. In order to control the movement of the Cellphone Land Rover, a phone call needs to be made from the operator�s cell phone to the cell phone mounted on top of the land rover. 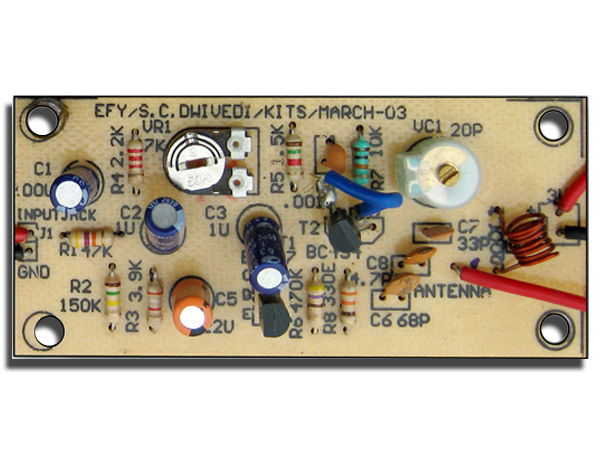 This rover-mounted phone is responsible for providing the DTMF tone inputs to the MT8870 decoder IC which is a part of the control circuitry. 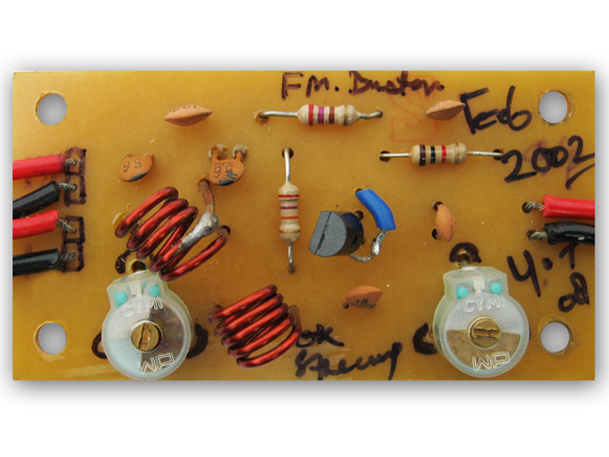 This connection between the rover-mounted phone and the main circuit (PCB) is achieved through a pair of headphones (also commonly known as the �hands-free� kit). Once the call made from the operator�s phone is received at the rover�s end, any key maybe pressed on the operator�s phone to control the actions performed by the land rover. The DTMF tones produced by each such button-press are received by the rover-mounted phone through the call-connect. These tones are further fed to the control circuit by the headset connected to the rover-mounted cell phone. The MT8870 decodes the received tone and sends the equivalent binary number to the microcontroller�s port A (input port). According to the program burned into the microcontroller, the rover will move in a direction corresponding to this input. For example, when key �2� is pressed on the operator�s mobile phone, its binary equivalent (0000 0010) is generated by the DTMF decoder IC. These bits are then inverted (i.e. 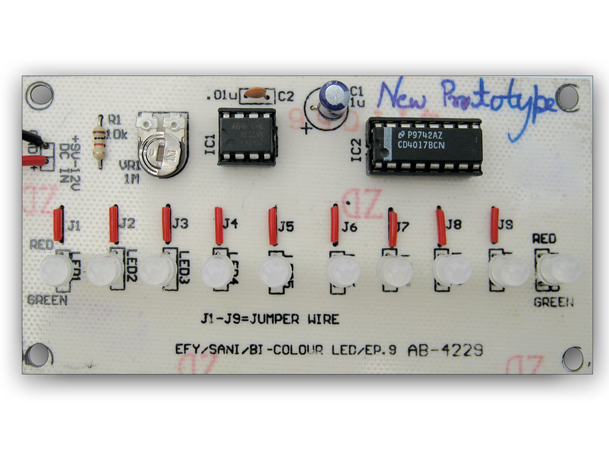 0000 0010 becomes 1111 1101) and fed to the input port A of the microcontroller. Consequently, the output generated at output port D is 1000 1001 (binary notation) i.e. port pins PD0, PD3 and PD7 are raised high. The high output at PD7 of the micro-controller drives the motor driver IC (L293D). Port pins PD0 and PD3 drive motors M1 and M2 in the forward direction. Similarly, motors M1 and M2 move together to generate left, right, backward and stop condition motions. Note: It is preferable to keep the rover-mounted phone in the �auto-answer� mode. If the cell phone being used does not support the auto answering facility, the call would have to be received manually by pressing the �OK� or �answer� key. The call should be transferred to the hands-free mode so that the DTMF tone can be passed onto the input of the MT8870 decoder in the control circuit through the �tip� and �ring� connection terminals provided on the PCB. A robot is an electromechanical system that has an ability to interact with physical environment and can be programmed to do specific tasks accordingly. All robots shares features including controlled mechanical and movable structures. The controlling of robot includes three distinct phases: Perception (Sensing) is mounted on the robot, Processing is done through on board microcontroller or processor, Action is performed by using motors or actuators. The Cell Phone Operated Land Rover implemented here is basically controlled by a mobile phone that makes a call to the mobile phone connected to the rover itself. In the course of a call, if any button is pressed, a tone corresponding to the pressed key is heard at the other end of the call. This tone is called �dual-tone multiple-frequency� (DTMF) tone. The robot perceives this DTMF tone with the help of the phone stacked onto its body and the DTMF decoder. 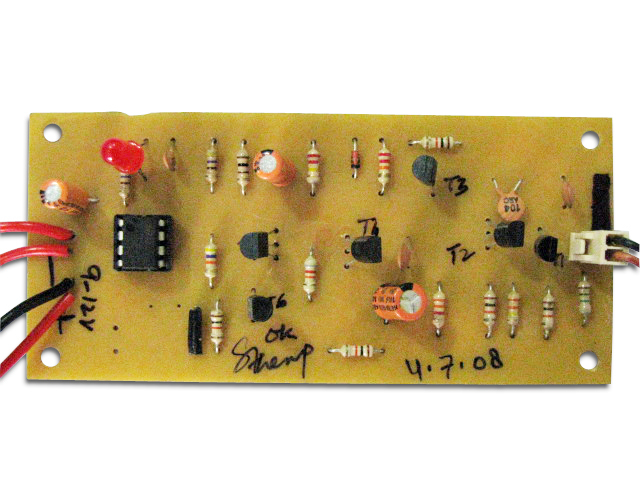 The received tone is processed by the ATmega16 microcontroller (Preprogrammed) with the help of this DTMF decoder MT8870, decodes the DTMF tone into its equivalent binary digit and is sent to the microcontroller. 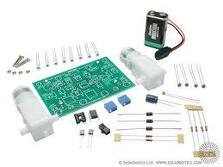 The microcontroller takes a decision for any given input and outputs its decision to motor drivers in order to drive the motors for forward or backward motion or a turn. The cell phone in the robot acts as a remote. 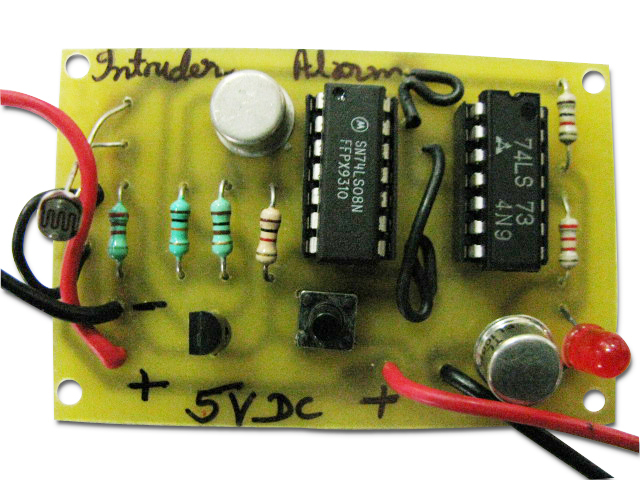 Hence, this simple robotic project does not require the construction of receiver and transmitter units. 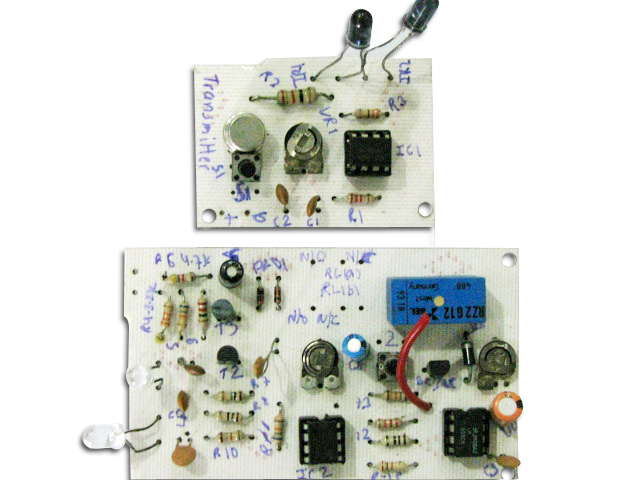 Some of the main components used are: MT8870 DTMF decoder, AVR ATmega16 micro-controller,L293D motor driver and 74LS04 NOT gate.